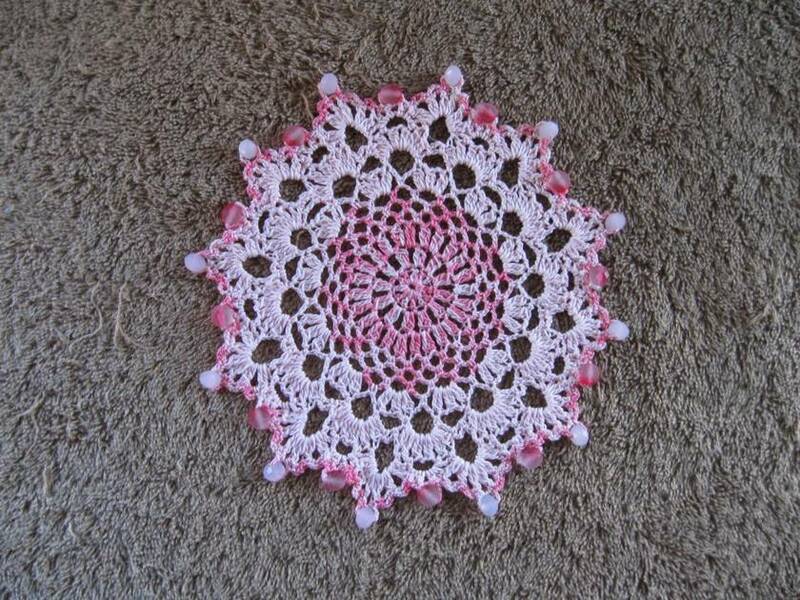 This gorgeous beaded jug doily measuring 7" (18cm( in diameter is also the perfect size for either a coaster to put your coffee mug,cup of tea or drink on, or to cover them up to protect from flying insects, either in the kitchen, dining room, lounge or bedroom. 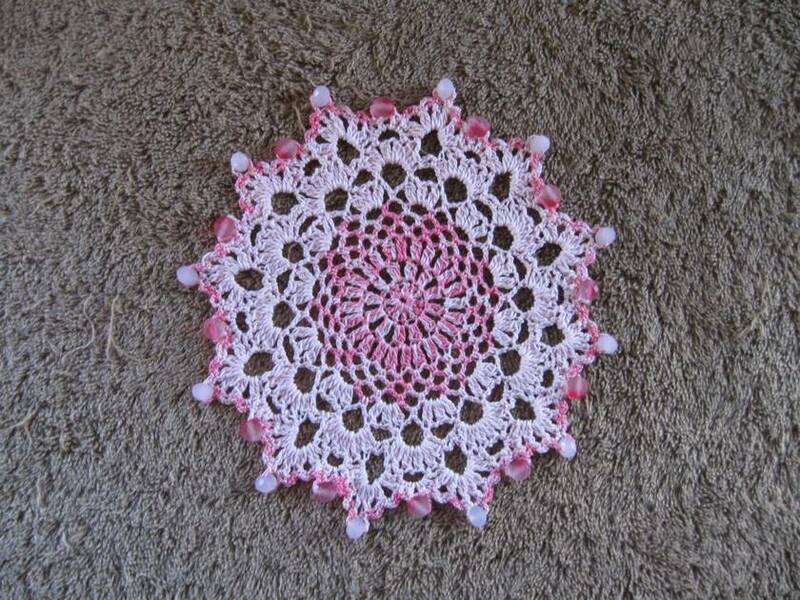 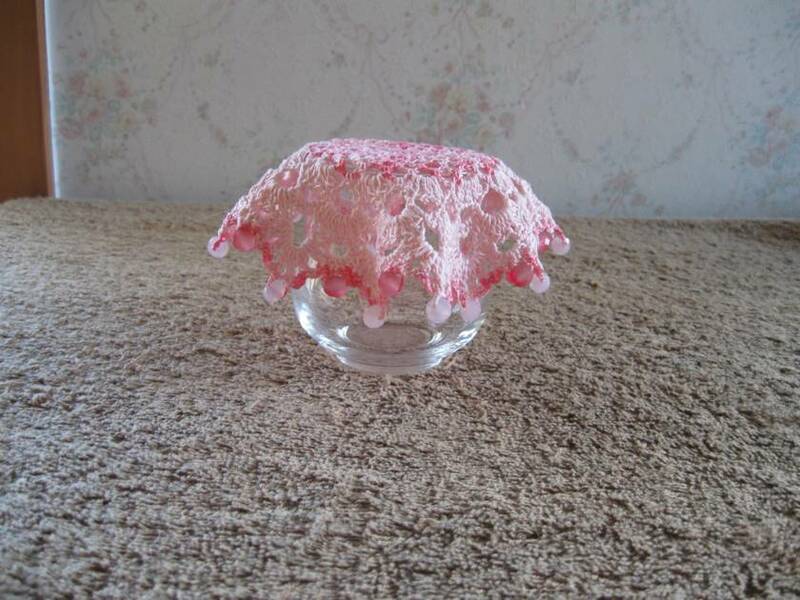 It would be ideal for a pretty doily on your coffee table or similar. 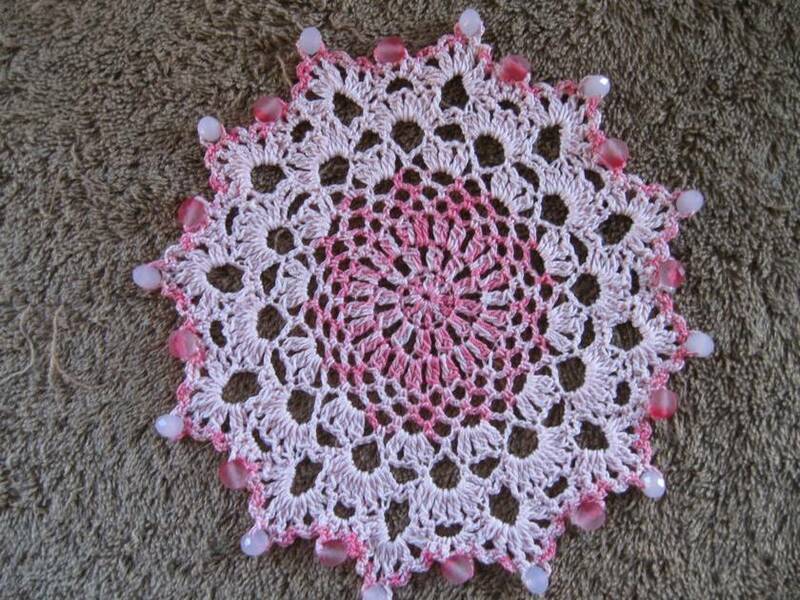 Crocheted in a varigated pink cotton with a pale pink contrast and 2 types of beads in similar colours to complement it.